Becoming a Successful Illustrator aims to show students and recent graduates how to forge an illustration career through six colourful and well organised chapters, writes Meredith Thomas. The authors, Derek Brazell and Jo Davies, are accomplished illustrators with insider knowledge of the industry. (Their earlier book Making Great Illustration, published by A&C Black, was reviewed in Eye 82.) 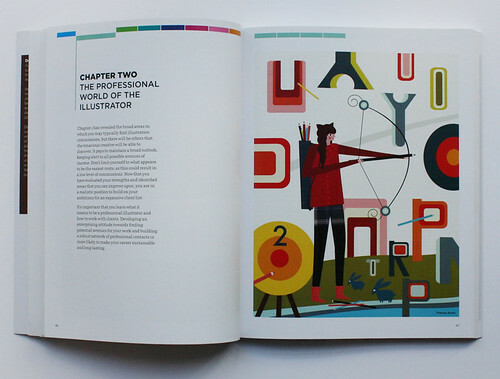 Here they provide a clear and detailed look at the world of illustration, from the novice stage – an overview of the basics – to running a professional business. 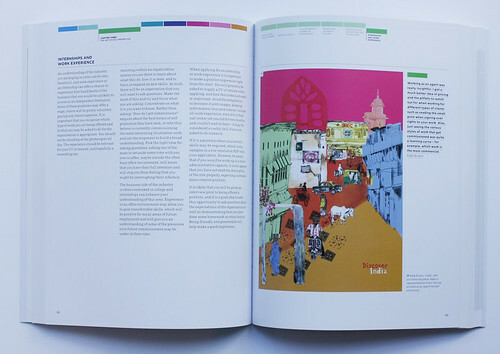 Kate Evans’s self-promotional piece India. 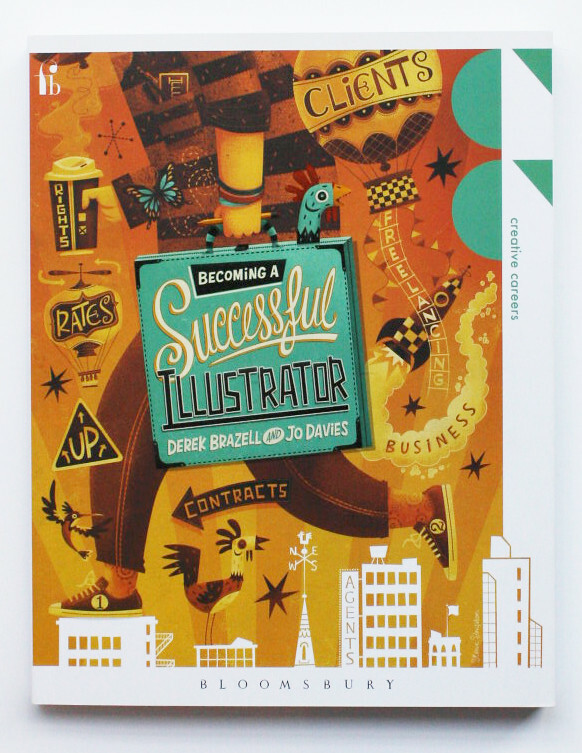 Top: cover of Becoming a Successful Illustrator by Derek Brazell and Jo Davies. Cover illustration by Steve Simpson. 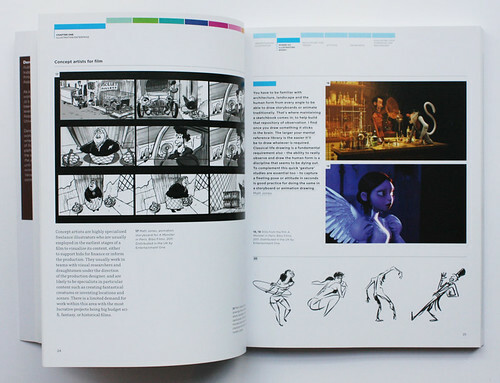 From chapter one, ‘Illustration enterprise’, Matt Jones’s animation storyboard (left) and stills (right) from A Monster in Paris, Bibo Films, 2011. 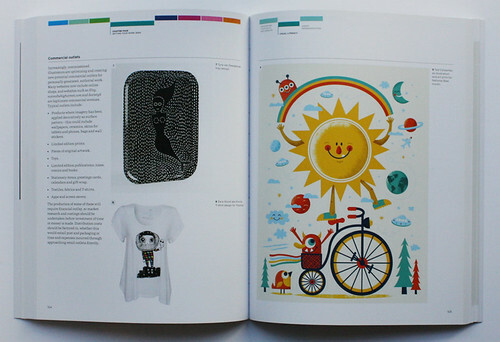 On top of the useful information and colourful images that accompany the content, Brazell and Davies feature a section in each chapter that focuses on specific advice from professional illustrators and businesses. These voices include Alberto Cerriteño, Ulla Puggaard and Penguin Group USA, among others. The left page features Shiver me timbers by Beth Pountney; the right page features Ellen Weinstein’s ‘The Power of Communities’, an editorial illustration published in Harvard Law Review. Andrew Ward’s editorial design maintains a fun and straightforward approach throughout, coupled with Brazell and Davies’ well-rounded lessons in illustration that include a bonus activities checklist at the end to aid organisation and productivity. As the discipline of illustration is continuously expanding to include much more than the traditional areas of book publishing and editorial work, Becoming a Successful Illustrator is likely to become a staple on every aspiring illustrator’s bookshelf. Illustrated tray design by Tyra van Zweigbergk (left page, top), T-shirt design for Topshop by Zara Wood aka Woody (left page, bottom) and a print for National Bike month by Tad Carpenter (right page). 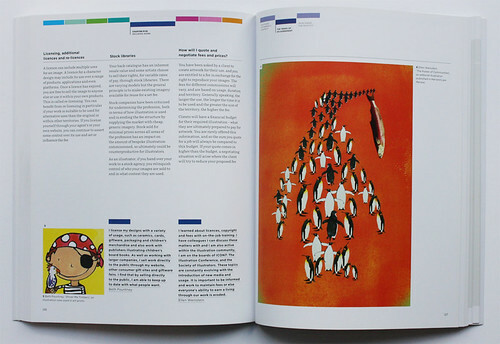 Review of the same authors’ previous book, Making Great Illustration, in Eye 82.